For the last few days I felt a little like a time traveler with information about the future which should not be spread. 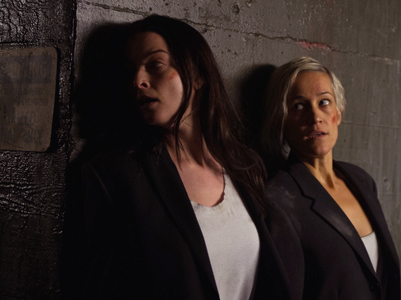 I binged on both seasons of Continuum over one week, watching the season finale on a download from the original Showcase broadcast last Tuesday. Of course all the Canadian viewers must have felt like this for a few weeks. This is a Canadian show on a network required to include some Canadian shows, so I immediately put aside any skepticism as to Vancouver being the key North American city in 2077. 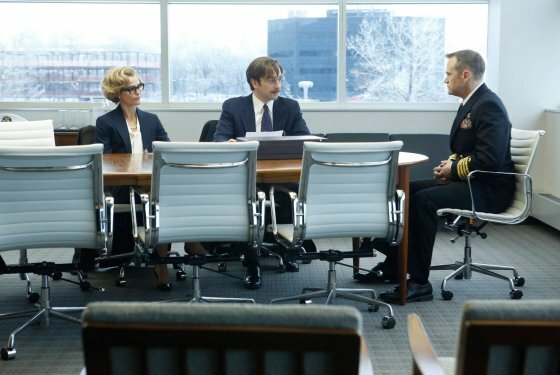 Now that SyFy has also broadcast the finale in the United States, I feel I can to on to discuss the show with some major spoilers. 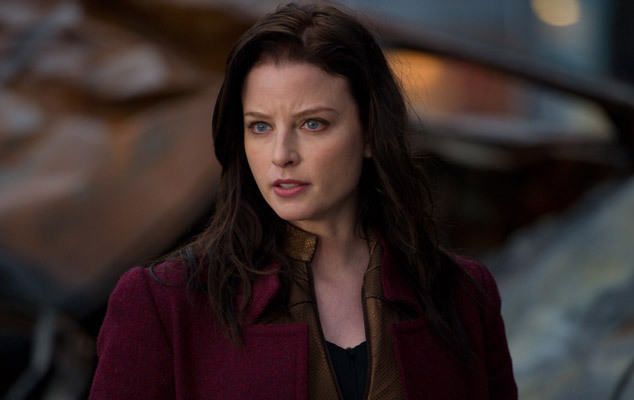 Until I began watching, I had fears that Continuum might be a police procedural with the gimmick of a future cop and terrorists from the future. It was clear early that the show is much more complex, moving into new territory in the second season, and setting up the show to move in yet more new directions in the upcoming third season. Rachel Nichols plays future City Protective Services (CPS) Protector Kiera Cameron who was sent back in time from 2077 to our present along with a group of terrorists (Liber8) who escaped their death sentence with time travel The world of 2077 is, on the surface, the dream of several libertarian fantasies as governments have collapsed and corporations have taken over. It doesn’t turn out the way in which libertarians fantasize as the corporations have no respect for our concepts of individual liberty or restrictions on the power of the state. Seeing the future which Liber8 is trying to prevent makes it very hard to decide who to root for in the series, and a factor which keeps the show so interesting. In the season two finale, Liber8 leader Travis claims that he, and not Kiera, is the good guy in this story. Many viewers would probably agree if not for the excessive violence utilized by Travis and others in Liber8. There have also been differences of opinion, and even a civil war, within Liber8, with some taking a less violent approach. Kiera is the protagonist of the story and does what she believes is right based upon her knowledge, but at least so far lacks the knowledge provided to the viewers about the system she defends. Another major player is Alec Sadler, who as a young man assists Kiera and as an old man in 2077 (played by William B. Davies, the cigarette-smoking man of X-Files), runs the most powerful tech company in the world). 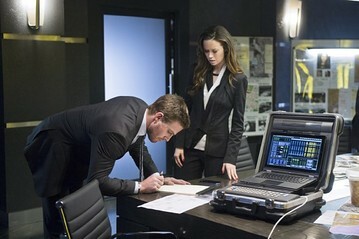 Young Sadler connects with Kiera early because her CMR (an implant which, among other things, provides communication for Protectors) works on a frequency which Alec was experimenting on in the lab in his garage. Alec’s step-brother Julian is originally portrayed as being a messed up kid fated to become a mass murderer but by later in the second season it appears he becomes one of the most heroic characters of the series, with far more to the stories of mass murder by his future self than Kiera understands. While doing repairs, Alec found messages from his future self placed in Kiera’s super-powered body suit which revealed that Liber8 and Kiera were intentionally sent back in time by his future self. This means that old Alec has developed reservations about the system which he was involved in creating as he sent Liber8 back in time to change the future, with Kiera possibly sent along to keep their violence in check. Even after two seasons, all the details of Alec’s plans are not yet clear. The members of Liber8 appear to be successful in creating the roots of a rebellion against Corporate control but cause and effect create a number of questions in this series. The anti-terror task force in the police department becomes CPS with corporate sponsorship in response to the threat from Liber8, being just one situation seen where we question whether the time travelers are actually creating the future of 2077. In an analogous situation, it is Kiera who wound up radicalizing Julian with her threat to kill him. The ability to change the future on this show is quite unclear and I will return to this question later. In one episode Kiera captures a mass murderer who in her time was known for never having been caught. We do not know which events, if any, would actually change things in her future. A character believed to be another character’s grandmother is even killed, with the character not showing any change. Not everyone sets out to change the future. Matthew Kelog was a reluctant member of the group all along, dragged into illegal activity by his sister. After arriving in his past he left the terrorists and made a fortune with his knowledge of the future. One nit pick is that he made this fortune far too quickly. Knowledge of which businesses succeeded and other events will certainly help build a successful portfolio but this would take time. It is unrealistic that he would know enough winners of major sporting events from that far back in the past to amass a huge fortune from gambling so quickly either. It would be more plausible if he knew his destination and had time to do research before being sent back. If time travel is possible, it only makes sense that there might be other time travelers around. Two characters, including one named Jason who happens to share DNA with Alec, were sent back in time from the original breakout but wound up in an earlier time. Jason is kind of nuts. Is this the result of being in the past so long? I suspect it was more the result of being thrown into a mental institution when he went back in time and claimed to be from the future. It is hard to judge this based upon other characters as one other showed signs of mental imbalance but others did not. Complicating matters further are the Freelancers who are from a different time. 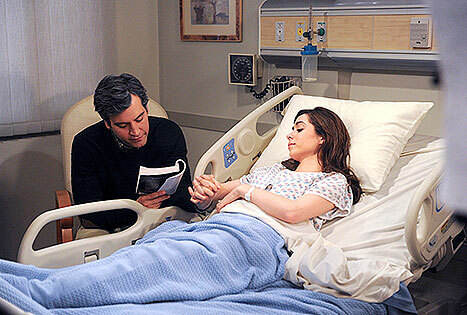 The second season finale answered some question but also set up potential major changes in the show. We learned that one recurring character whose goals were unclear, Escher, is a former Freelancer and Alec’s father while Jason shares his DNA as he is Alec’s son. There already had been the question as to what degree future technology developed by Alec was based upon knowledge he learned of the future as opposed to being his own inventions. Now that we learn that time travel is the family business, we don’t even know if Alec would even be in this time line without time travel. If the revelation from Escher that he was Alec’s father reminded viewers of Darth Vader telling the same to Luke, the scene with both Kiera and Travis suited up was reminiscent of a fight scene from The Matrix. 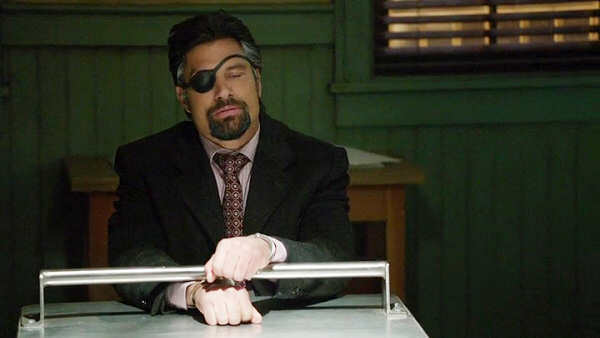 With the police being turned into a corporate-controlled unit which violates civil liberties (also presenting a change in the portrayal of Inspector Dillon of the Vancouver Police), Kiera’s partner Carlos left the police and wound up with Julian, who had been an enemy in prior episodes. It is possible that Carlos is going undercover, but I suspect that he really was fleeing from the newly founded City Protective Services, who are now planning to arrest Kiera as a terrorist. At different times in the finale Alec appeared to be using and double crossing both Escher and Kiera, going for his own trip through time in the finale. 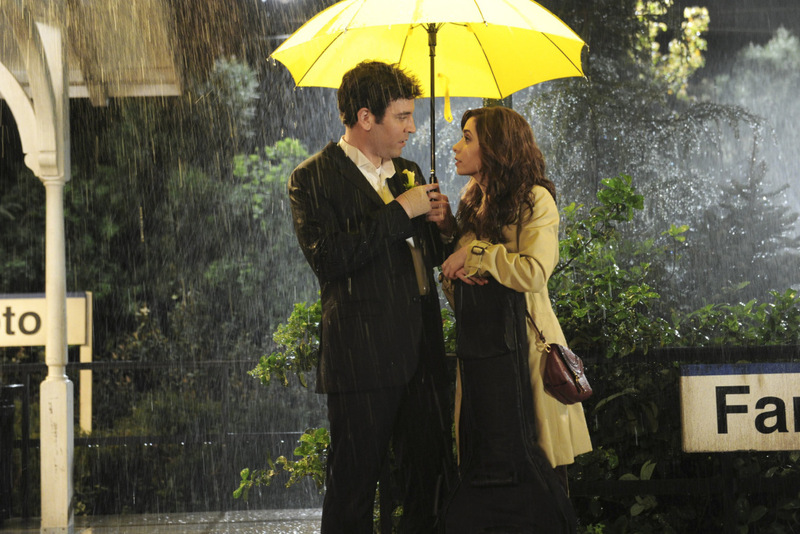 Most likely he is going back to save his girlfriend Emily, who was killed during the second season. Emily’s motives were also unclear earlier in the season as it was clear to everyone but Alec that her goal was to get into his lab, and she also turned out to be working for Escher. Will Alec succeed in saving Emily, and if so will this create a cosmic reset making the other events of the last couple of episodes not occur, or will it create a new time line with a living Emily parallel to the one where she was killed? Is Emily Jason’s mother? It is also possible that Alec might wind up at a different time, such as when the characters were first sent back in time, or maybe just a few minutes before the Freelancers attacked. The show often shifts back between the present and 2077, and key information is often not revealed until subsequent episodes (if at all so far). 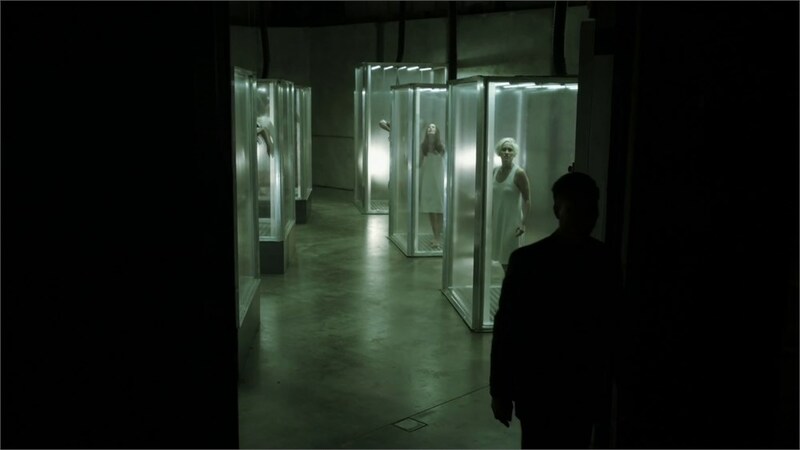 The second season began with a scene of Kiera being captured and put in a glass cage along with members of Liber8, including one who was brought back from the dead or from a different point in time. Kiera then awoke from a dream (when some of her memories were wiped)in 2077 and it wasn’t clear if this was part of her dream in 2077 or an event from some other point in time. 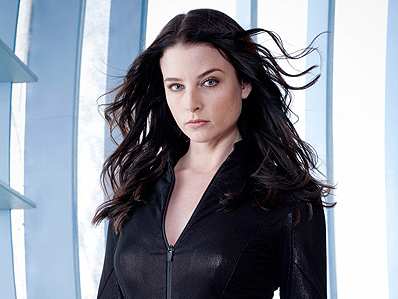 In the second season finale, Kiera is captured by the Freelancers, who claim a goal of defending the time line from time travelers and are as violent as Liber8.While t is hard to trust the motives of the Freelancers, are we actually seeing something like the Temporal Cold War from Star Trek: Enterprise? The season ends with a repeat of the scene with her being placed in the glass cage. Presumably this imprisonment occurs immediately after what appeared to be her capture, but this is far from certain. If she had been dreaming this in 2077 before she was sent back in time, it could be a suppressed memory from earlier, especially if she has wound up in a temporal loop due to changes in the time line which are not yet clear. It is also possible that she actually escaped at the end of the episode and the imprisonment scene occurs at some other point in time. Alec’s trip through time might wipe out everything we are seeing, or create a new time line in which this does not occur. If the third season does start with her in the glass cage, then what? The cages look more like short term holding cells than a permanent prison. Do the Freelancers plan to move them elsewhere or perhaps take them back to their own time? 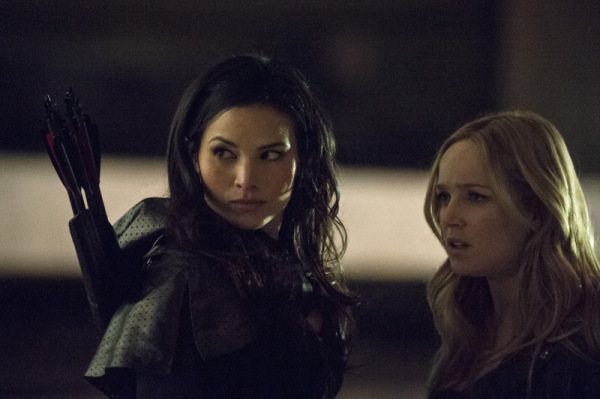 Does Alec and/or Escher save them, or do still more time travelers get involved? The core of the show’s storytelling has always seemed to be the struggle between corporate dominance and the anarchy of Liber8. How do the Freelancers fit into that theme? You will find out in the first episode of Season 3. When did you guys decide that the show needed another group of time travelers in the mix? 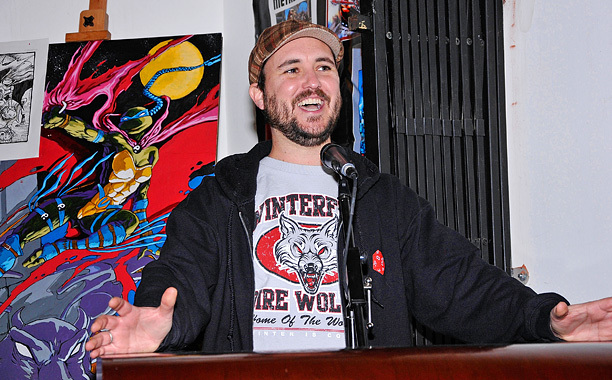 The notion of Freelancers was introduced early in the writing room of season 1. We were going to bring it in then, but decided to hold back until Season 2. In one episode, someone shoots Kellog’s grandmother and he’s unharmed. In another episode, Kiera solves a serial killer case that was never solved in her original timeline — and she still remembers seeing it as an unsolved case, back in 2077. Also, in one episode Old Alec tells Young Alec that he’s not Young Alec’s future self, but just a version of Alec that shares some experiences. So is it basically confirmed that you can change the past, but you’ll just create a brand new alternate timeline? Is that definite now? The final episode of season 2 certainly points to that, but ‘definite’ is a dangerous word. 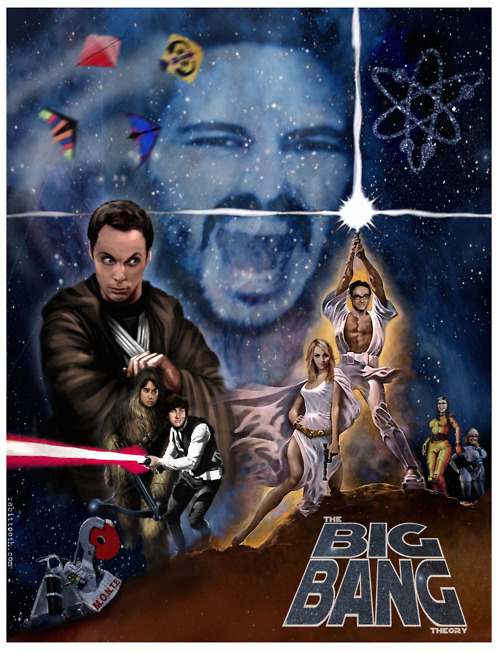 Don’t get too hung up on the defining “multiverse versus closed loop” debate just yet. We like to think of time in the context of our story: two points, 65 years apart. The belief that one can make small changes to the timeline now and that will upset 100% of the events in 65 years, is too simplistic. We’ve used the Tsunami metaphor in the show and I think it’s an appropriate one in this case. Small changes to that wave are certainly going to have an impact on the damage it does, but that doesn’t mean the wave doesn’t do what it’s supposed to do. I think because the stories are Kiera-centric, we are tempted to believe that the changes to the timeline will affect her life more than others, but there’s no reason to think this way. Unless Kiera or Liber8 makes changes that are directly related to her family and Greg’s family, then there is still a good chance that she will be born and Greg will be born and they will meet. The idea of multiple timelines in itself opens the door to connected timelines that could split like tree branches but then wrap around each other like vines, eventually merging again. That’s one of the amazing things about time travel; because it’s not a pure science, there is room for interpretation and the introduction of larger forces at work, be they natural or un-natural. Even if Kiera is on an alternate timeline, she could theoretically return to a version of 2077 where her life played out 99% as it did. Now it’s true she would run into a version of herself that never went back in time and that would be complicated… But it would be deliciously complicated. If so, then what does Old Alec have to gain by sending Kiera and the Liber8 gang back in time? Won’t he just create a different timeline that he can’t ever visit? From his viewpoint, how can Old Alec even know what changes happen as a result of that time travel? Perhaps Old Alec understands more about what’s at stake than we’ve revealed to date. 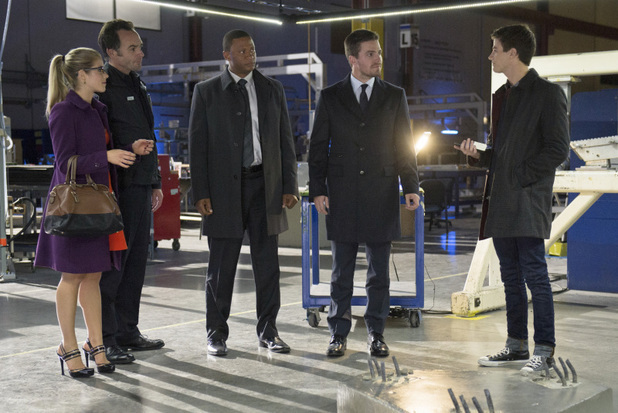 The final episode of season 2 will introduce the first threads of this larger storyline. One of the big shifts in season two was the Vancouver Police Department coming under the control of Piron, or at least a big part of it. Do the police basically just become another gang in the city’s gang war at some point, and lose their legitimacy as cops? Have the police already crossed too many lines to be able to claim they’re upholding the law? Well the Piron deal is really only with Dillon’s Liber8 task force so it was never meant to be a complete take-over (yet!) – What we are setting up is the very small moves that might lead towards an eventual corporate controlled police department a-la Robo-cop OCP scenario. It seems as though the driving force behind the corporate takeover of the police was the arrival of Liber8. Are the Liber8 terrorists basically causing the corporate-controlled future they were trying to prevent, only ahead of schedule? There’s a timely irony in that, and it’s not an accident. And finally, it’s seemed as though Kiera isn’t sure what her goal is any more. At times she wants to preserve the timeline she comes from, but at other times, she’s willing to make some pretty big changes. 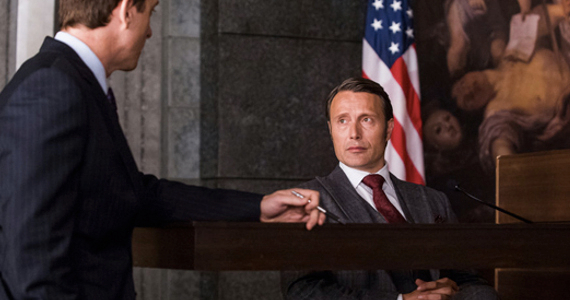 (For example, being willing to shoot Julian, which would cause a pretty big change.) Are we going to see her regaining more of a clear sense of purpose in season three? Is her evolution as a character taking her someplace? And will we be learning more about Alec’s “purpose” for her? It’s interesting that many comments pop up from time to time about Kiera not doing the ‘right’ thing or the ‘smart’ thing regarding time travel. This suggests she has the knowledge the audience has. 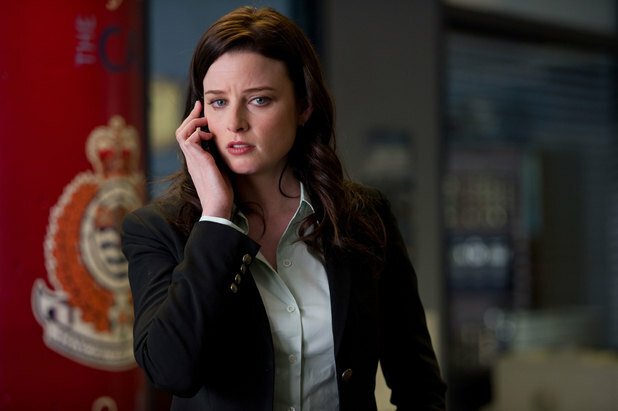 One of the unique aspects of Kiera Cameron in the Time Travel tradition is that she is one of the few characters in the genre who are not travelling by choice. Most Time Travel is driven by a character who understands the stakes and science of Time Travel, therefore their actions are determined based on their self aware role within the time continuum. They are willing adventurers who know the rules and usually have a goal and understanding of how to achieve it in context of their situation. That is not the story of Continuum. Kiera is an average person in 2077. She’s not a scientist or engineer. She’s not a theoretical physicist or even a fan of Science Fiction (unlike many of our fans who I believe would know what to do, and what not to do, if they found themselves in her shoes). Kiera is an unwilling victim of another person’s designs… She is us. Kiera is fumbling her way through this experience using her humanity and experience as a guide, not a set of time travel rules or knowledge of paradoxes and wormholes. On occasion Alec will remind her of the possibilities and pitfalls, but without proof of anything, who’s to say what’s right or wrong. As Kiera evolves, so will her decisions. For Kiera, this entire adventure is also a learning experience, and the lessons will form a critical path towards her becoming the person she needs to become in this mythology, and illuminate the “purpose” Alec had in mind for her. This weekend I binged on the entire season of Broadchurch. The story is about the murder of an eleven year old boy and the effects on the town. It stars David Tennant and its excellent cast includes a second actor who has starred on Doctor Who, Arthur Darvill. The third character in this scene, Olivia Coleman, also appeared in an episode of Doctor Who, The Eleventh Hour. As only four of eight episodes have shown so far in the United States on BBC America, I will avoid any meaningful spoilers. Those who want to know absolutely nothing (such as whether Danny’s killer is found) might want to skip the following. Speaking at the Edinburgh Television Festival the network’s director of TV Peter Fincham said that viewers would not be subject to ‘a formulaic repeat of series one’ when the show returns in 2014. He also did not confirm which members of the cast from the first series might – or might not – appear. The comments mirror those of series creator Chris Chibnall, who confirmed earlier this year he was working on Broadchurch round two – but also stayed silent on whether Tennant and Colman would be back. ‘I would take nothing for granted, I would just wait and see!’ he commented. Will Mellor, who played psychic phone engineer Steve Connolly, has also hinted that the next series could be a prequel – and may not even feature a whodunnit. 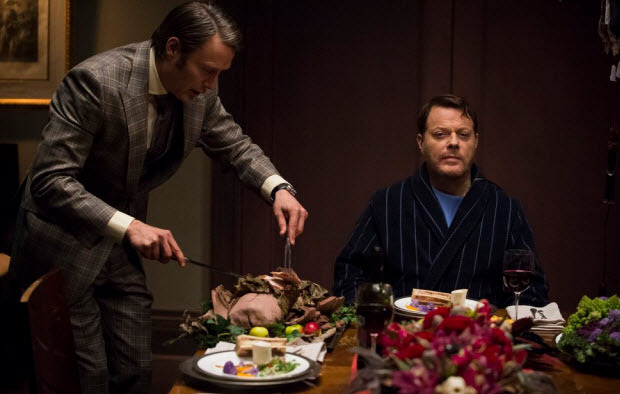 ‘I can’t see it being about another murder because it will be a bit too coincidental. All I know is it’s going to be a surprise because the writer always catches you out,’ he said. 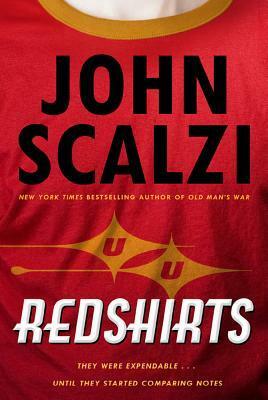 Redshirts by John Scalzi won the 2013 Hugo Award for Best Novel. The novel is an homage to Star Trek, along with a look at what doesn’t completely work in television science fiction, and, continuing with the lead story today, even has some time travel. The Avengers won for Best Dramatic Presentation, Long Form. Blackwater, an episode of Game of Thrones won for Best Dramatic Presentation, Short Form. 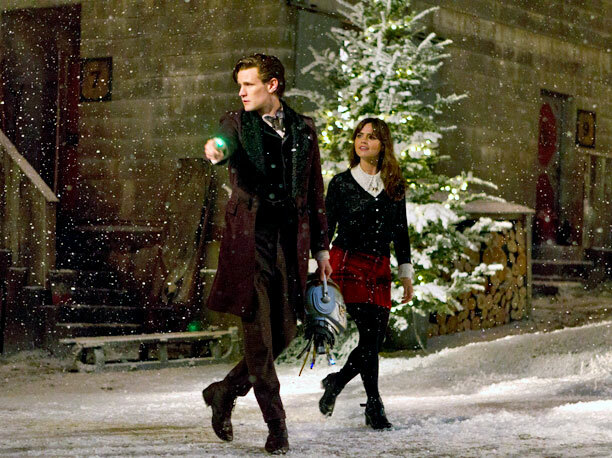 Three episodes of Doctor Who were also nominated in the category: The Angels Take Manhattan, Asylum of the Daleks, and The Snowmen. I wondered whether dividing the vote with three episodes might have prevented Doctor Who from winning again this year but looking at the total numbers Blackwater had more votes than all three episodes of Doctor Who combined. The final nominee in this category was an episode of Fringe, Letters of Transit. In the entertainment industry in 2077, Benedict Cumberbatch will be famous for being a part of every major movie franchise. Now there are reports that he will have a role in Star Wars VII. It looks like he should have some free time. Filming has completed on the third season of Sherlock. James Spader has been cast to play Ultron in Avengers: Age of Ultron. 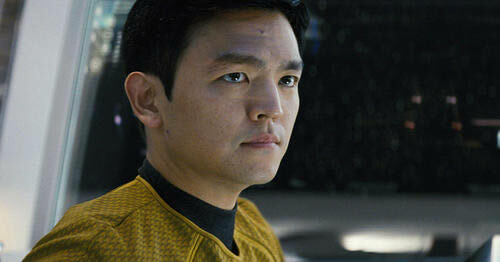 Yet another story on Star Trek science maybe becoming fact. This time, a report on experiments at NASA which might make warp drive a reality. Maybe. Fareed Zacharia also had a segment on Sunday’s show on technologies which are similar to the replicator. Update: News came in later tonight that Frederik Pohl died over this past weekend. Hide looked like a ghost story, but this week’s episode of Doctor Who was actually a love story involving two couples (or maybe a third). 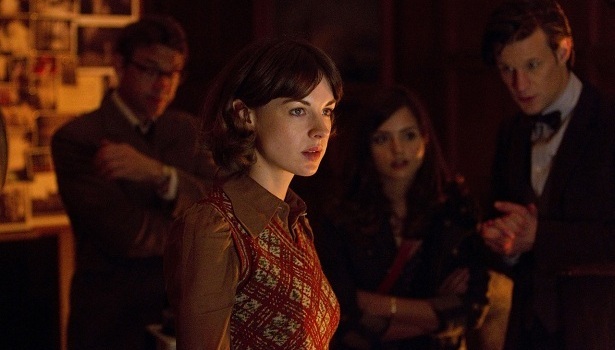 The young assistant Emma was the real reason for Doctor showing up where he did, to see if the clairvoyant Emma could detect anything unusual about Clara, “the only mystery worth solving.” While nothing unusual was revealed about Clara, Emma did warn Clara about the Doctor’s icy heart. 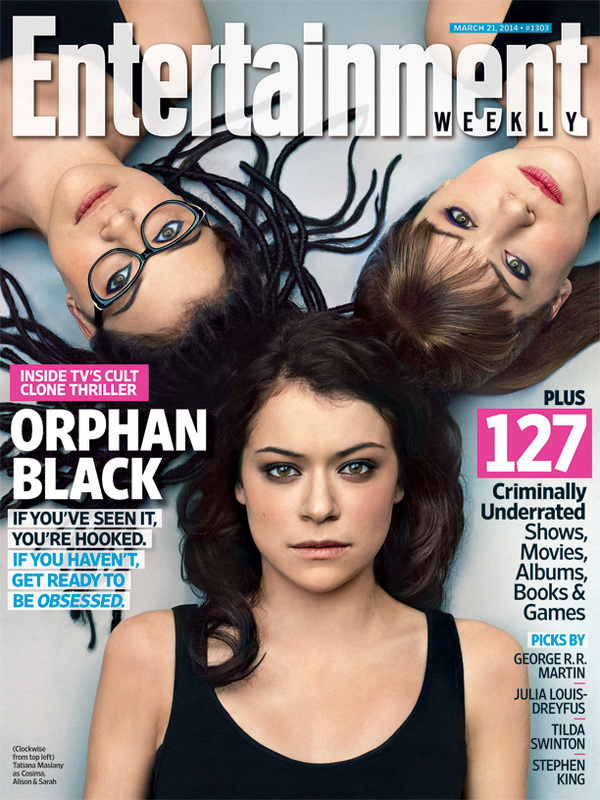 I suspect this will play a part in whatever is revealed in the season finale. This was actually the first episode filmed with the modern Clara Oswald, written by Neil Cross, who subsequently wrote The Rings of Akhaten. Cross did better with his first attempt in Hide. 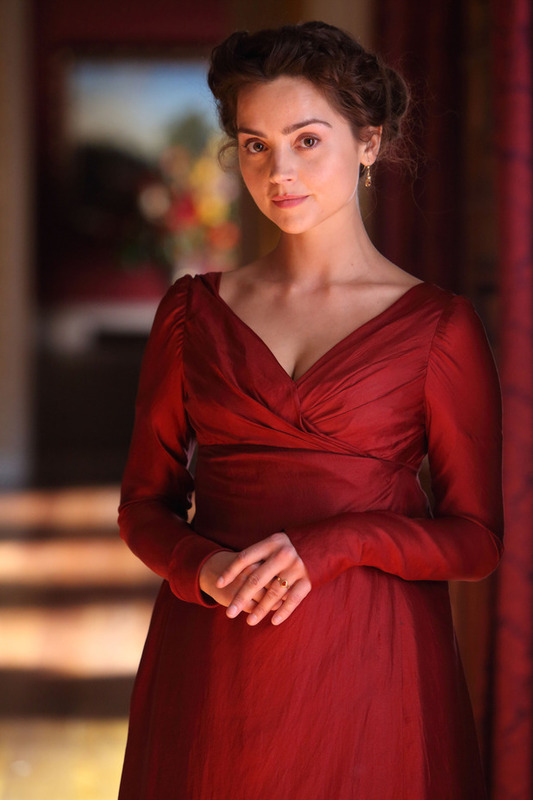 Like previous episodes since Doctor Who returned, there is an homage to a previous Doctor. This time it is John Pertwee’s Doctor, from a scientist with assistant (or is it companion?) using 1970’s oscilloscopes to the need for a blue crystal from Metebelis III. Will next week’s Journey To The Center Of The TARDIS include references to Tom Baker? I suddenly feel like some Jelly Bellies. The fall of the eleventh has been interpreted as meaning the time of his regeneration, but it might mean something different if the Doctor’s name really s revealed, or this might not be the secret which is revealed. Even if his name is revealed, there would have to be more to the secret for it to be meaningful. Finding that his name is the Gallifreyan equivalent of John Smith would not mean very much. 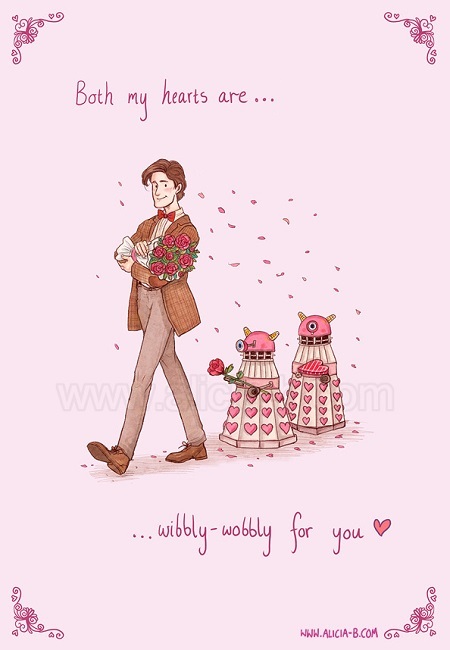 Perhaps the Grammar Daleks have been correct and his real name is Doctor Whom. …there are several sites claiming that two very reliable sources have independently revealed that John Hurt will be playing the real 9th Doctor :O Basically Eccleston, Tennant and Smith’s Doctor have either forgotten or have repressed Hurt’s incarnation for some unknown reason, and it is very possible that the secret due to be revealed in the season finale next month is that Smith is the 12th Doctor rather than what his real name is. I suspect that if this is the case John Hurt’s character might not really be the Doctor, similar to the misdirection in The Next Doctor. The order of the Doctors has become ingrained too much to disturb this chronology. If Matt Smith’s Doctor really is the twelfth, it might give Moffat an opportunity to answer the question of the number of regenerations. Originally Time Lords had thirteen but obviously they will not end the show when this limit comes. There was a throw away line when David Tennant was in an episode of Sarah Jane Adventures claiming 507 but the line wasn’t meant to be taken seriously. They already have had two events in the new episodes which could alter the original limit. As the Time Lords have been overthrown, nobody knows if the old rules apply. 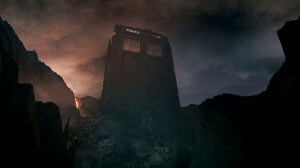 There is also the possibility that the Doctor obtained additional regenerations when River Song gave up her future regenerations to save the Doctor’s life in Let’s Kill Hitler There is plenty of precedent for transfer of regenerative powers in Doctor Who, giving Moffat a number of possible routes. Plus, unless the number is extended, where will the Valeyard fit into this–or has the Doctor managed to avoid that fate? Defiance has been billed as the next big thing from Syfy but I was not very impressed. The computer-generated special effects looked fake and I just don’t see the point in computer generated graphics which fail to give a sense of reality to scenes which could not otherwise be filmed. The town of Defiance, which is St. Louis around thirty years after a war which has altered earth, provides a scene which could just as easily be an alien planet or a spaceship which contains civilians. 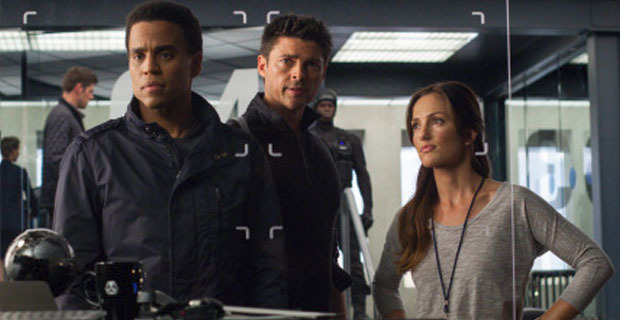 Julie Benz is the mayor (or if this was a spaceship, she fulfills the traditional science fiction role of the Captain). In this case, the future looks like the old west, but is far less fun than Firefly. The backdrop will allow for a wide variety of stories, with stories which felt very familiar filling the two-hour premier. Now that we have the setting down, perhaps the series can move onto more original stories. The second season is very interesting. Obviously the first season was very centered on getting home. I wanted to go home. I would be friends with the baddies, I would partner up with Liber8, whatever it took to get home. 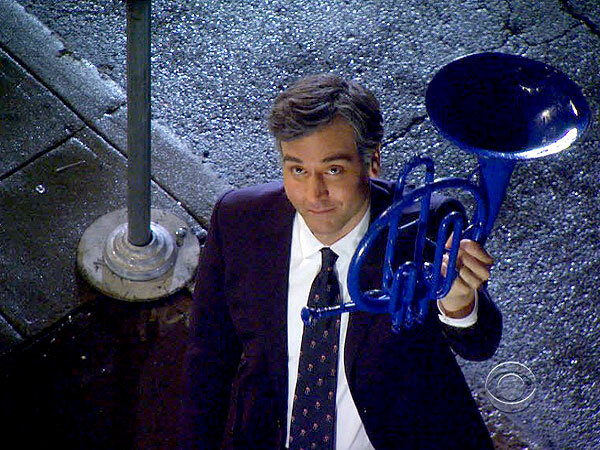 It’s obviously still important to me in the new season. However, the theme of Season 2 is responsibility. Kagame had a speech at the end of the last season about how, if you drop a pebble on one side of the world, it will become a tsunami on the other. For Keira that’s very, very important, because she wants to get home to her husband and her son. Very early on in season 2, she starts asking questions: what am I going to be returning home to? Am I costing my husband and son their lives? Will they never be born? Will I never be born because of what I’m doing now? It’s a lot to wrap your head around! This week’s Community brought up the dark timeline. There was also a lot of nonsense such as the group believing they failed, with the grade changing to a C to an F and back again, and a knot which was not a knot. It is clear that new producers David Guarascio and Moses Port do want to keep this show as offbeat and original as it was under Dan Harmon. They just don’t have the ability to pull it off. Dexter will be returning for its final season. A sneak peak at part of the first episode is above. 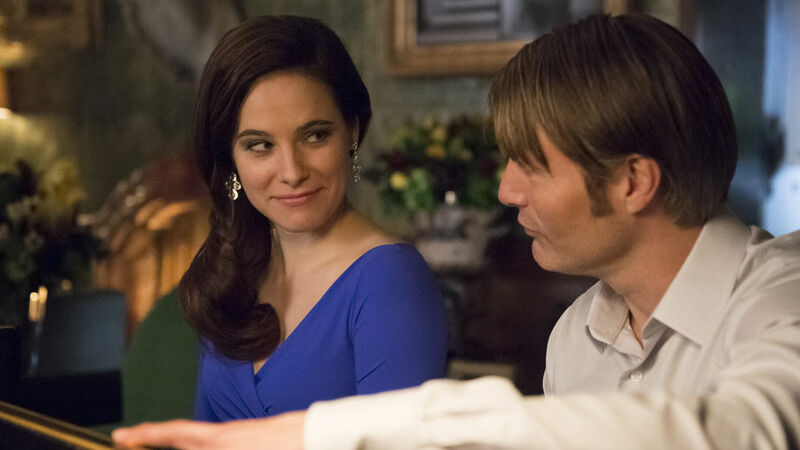 The final trajectory for the series is in motion, but a spinoff isn’t ruled out. Emilie de Ravin of Lost teased tonight’s episode of Once Upon A Time by describing her character (after losing her memory) as “young, scantily-clad chick, Lacey.” Okay, she sold me on watching, even if it is on network television. 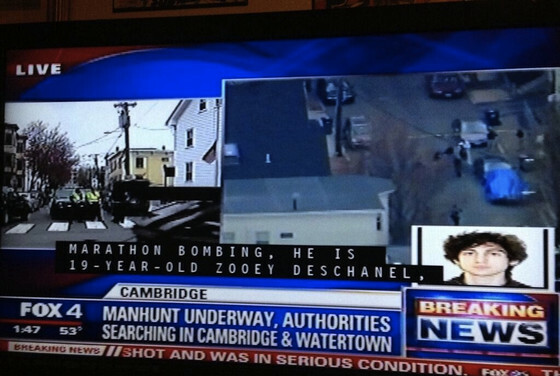 Zooey Deschanel was identified on the closed captioning as the suspect being chased in Boston on Friday by one television station. Needless to say, it was a Fox channel. This is no more ridiculous (and false) than most of the type going by while watching Fox, such as identifying Barack Obama as a socialist from Kenya.